LuLaRoe is giving me the opportunity to have a sale for you from June 27th to June 30th. I have 500+ items listed on the website at 40% off. I will be posting specials on items, too! Like Cinderella’s ball, once the clock strikes 12am, the same will be over. I will be adding items daily. I have several that I haven’t had a chance to list yet. LuLa cash/specials/loyalty rewards do not apply for this sale. I needed a picture to post on my LuLaRoe FB page. I needed someone to take a picture because the bathroom mirror technique just looked tacky. My sweet 6-year-old offered to take my picture so showcase my outfit. We took a couple of shots. He did a great job. I’m wearing a LuLaRoe Collection for Disney Cassie skirt and a Classic tee. I am so grateful to have a loving a supportive family. This LuLaRoe thing is really a family business for us. 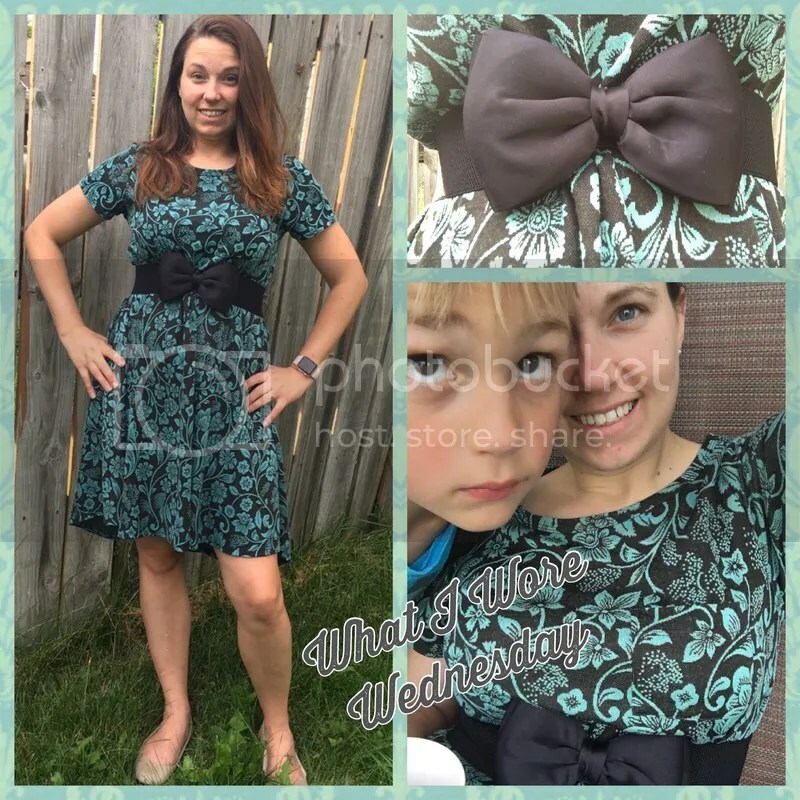 I have two LuLaRoe Carly dresses. Everyone seems to love them, but I couldn’t figure out how to make it fit my style. I felt like I was wearing a nightgown. That’s also exactly how I started wearing my Carly dresses. As nightgowns. To bed. They’re super comfy, in case you’re thinking about trying it.